It is very important to have a consensus from the full field staff. Even if they are not in full agreement, getting you an actionable analysis can be difficult without a complete census (see #2). All insurance companies require that 80 percent of the field staff/full-time workers apply for coverage, but it is best to insist that everyone apply, even if you realize that due to Medicare or a staff member on a spouse’s insurance plan, we will be asking for exceptions to this rule. In general, if you cannot get an 80 percent participation, most companies will not accept a group for coverage. You need to fill out a “Census” and “Request for Group Quote.” It is important to give as much detail as possible. Once this “Request for Group Quote” is sent back to us, we will approach several companies to get quotes. We usually need to wait seven to ten working days to get all of the quotes, although some will come in within two or three days. The quote is based on the average age of the group and the group’s general medical condition. 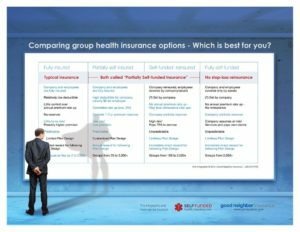 Once the quotes are in, your leadership team will need to decide what company and what international group insurance coverage is best for you. We are happy to answer any questions you have regarding the customized options we present. We will also negotiate together to make sure the benefit package meets your staff’s needs and at the best price. Please call us toll-free at 866-636-9100. After you choose a company/quote, we will then send you the application material for the employees. This will generally consist of an enrollment form for each employee. Some companies will only ask the leadership team for a spreadsheet of key data, and they will not ask for medical information. You will also receive a “Group Application” to be signed by a member of your leadership team or the insurance coordinator for the company. If the insuring company asks for individual enrollment forms from each employee, the hardest task you will have is to get all of the employees to fill in the enrollment forms and return that information to the international group insurance agent in a timely manner. Please note that enrollment forms that are signed and dated more than 30 days prior to the effective date of the insurance coverage are generally rejected by the insurance company. Therefore, it is important for the workers to get their enrollment forms in within that 30-day window. This means if you set September 1 as your effective date, all enrollment forms need to be filled in, signed, and sent in during the month of August. You can mail, fax, or scan the enrollment forms into the computer and e-mail them in. Some companies are now setting up an online enrollment facility so that employees can enroll online. In order to activate the coverage, the insuring company will need the following: (a) Enrollment forms from all of the workers, (b) Beneficiary forms [only some companies require these], (c) A contract from the company signed by the responsible party [we supply the contract], (d) A check for the first month’s premium made out to the insuring company. Certificates of Creditable Coverage / Certificates of Insurance. Some U.S. insurance carriers as a result of the Affordable Care Act (PPACA), are no longer offering or issuing Certificates of Creditable Coverage or Certificates of Insurance. We have spoken to a umber of our international insurance carriers which still require them for coverage of pre-existing conditions without a wait period. At least some have offered a work around by demonstrating other forms of documenting current coverage such as start of coverage (like an I.D. card or declaration page) and end date of coverage (cancellation notice). If you have questions, please contact us. 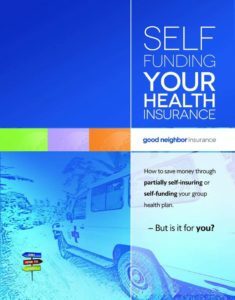 Once Good Neighbor Insurance receives all of the application material from you, we submit it to the insurance company. They will then inform us what information is missing, and we will contact you. Once everything is complete, they will the send “Insurance Kits” which include policies, claim forms, and medical ID cards for each employee. If the insuring company should discover new medical information about the group that was different from what they knew when they made the original quote, and/or if the census information of the final enrollees varies from the original census, they may requote the group. Sometimes the quote ends up lower, but usually higher. In some cases they may also ask to review medical records on some of the employees. It is important to remember that dependents who are full-time students can only be covered with group insurance up to and including their 22nd year (and with some companies, up to and including their 26th year). A full-time student is taking at least 12 credit hours of studies. It is important to remember that the insurance company wants a full list of all overseas staff of the company, even if some of these people will be waiving coverage. So please make sure that everyone who is a company employee is listed on the census sheet, even if they are non-Americans and have coverage through the national health plan of their own country. 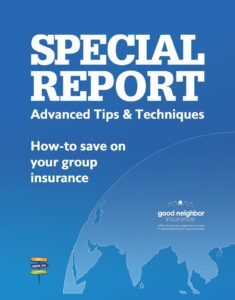 Insurance companies usually require between 75 percent and 80 percent participation in a group insurance plan. Thus if your total work force (everyone who works 30 hours a week for the company) numbers 20 (husband and wife are one unit), then at least 16 units/employees need to apply for the group coverage. The four that are waiving coverage will need to sign the enrollment form that they are “waiving” or “refusing” coverage. The group needs to make a decision on whether or not to offer COBRA insurance (continuation of health coverage after terminating relationship with the company for another 18 months). If so, the company will be responsible to collect premiums from the workers who have terminated their relationship. This makes it possible for people returning to the USA with serious medical conditions to keep their group health insurance for an additional 18 months.